Netadmin is sprung from business requirements of delivering access to one delivery point, e.g. FTTX. This doesn’t mean that Netadmin is restricted to this type of business. We have several customers that use Netadmin for point-to-point (P2P) and point-to-multipoint (P2MP) businesses. Here, we will look at one customization in a Netadmin installation that increase usability and reduce complexity in a P2P scenario. For this text, we will look at two basic use cases in a P2P-business. On the customer page in Netadmin you see a subscription group that is represented by a base subscription in this example called P2P Based. 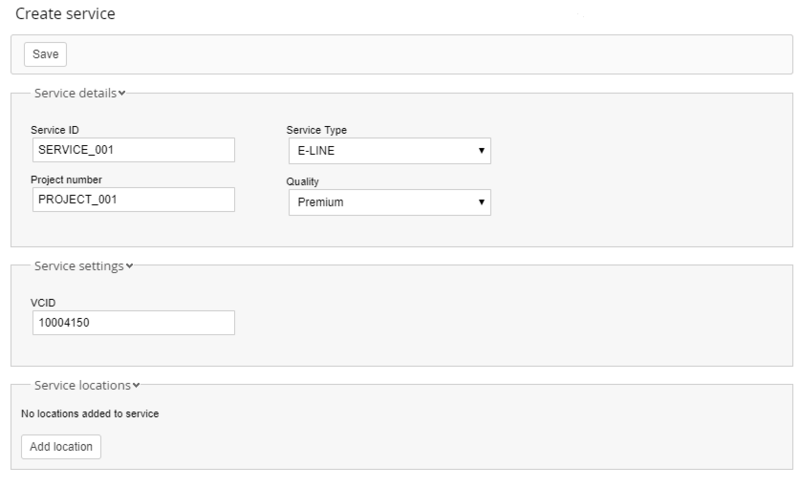 The subscription group can be opened by a click on P2P Base and this will display all subscriptions within the group. The purpose is to have a high-level overview of the customer’s commitments with the possibility to drill down in details. The base subscription represents the overall P2P service and the two legs is one subscription each. This service modelling is quite common in Netadmin. With the use of subscription groups and a GUI to connect a whole group and modify (upgrade/add/remove) each leg the P2P business model will be much more intuitively represented. In this section, we give an example of a coherent and unified realization GUI for the P2P service model. You start with the overall parameters of the contract (aka agreement). On the bottom of the page you add the legs (called locations) of the service. 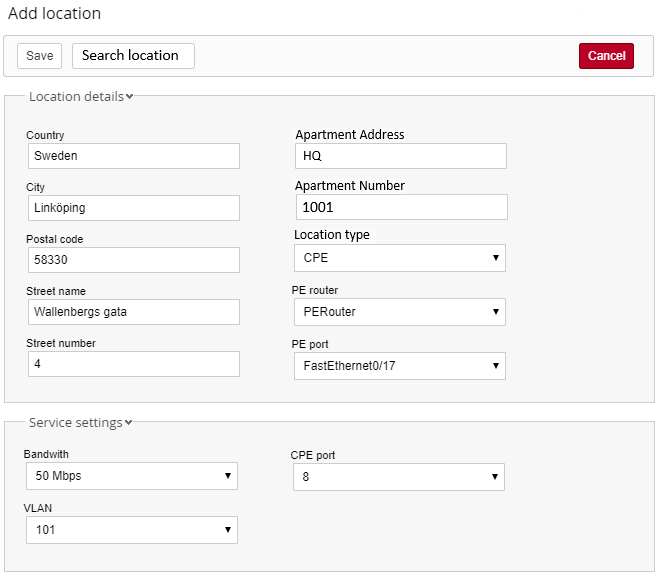 Each location will be documented as an Installation Address. You can add a new location or find an existing via the search bottom. In this example, we look at the GUI for creating a new location. When all locations are selected they are listed on Create Service page. At this point you can initiate the realization of all subscriptions in the P2P subscription group by clicking on save, see above for complete form. After this we are back to the Visualization Use Case and you can follow the connection of the subscriptions by expanding the subscription group. We have looked at one customized implementation of P2P use cases. The solution has been simplified to remove very customer specific terms for educational purposes. The solution can of course be further adapted and adjusted for a better fit to your business. Contact our professional services for more information.